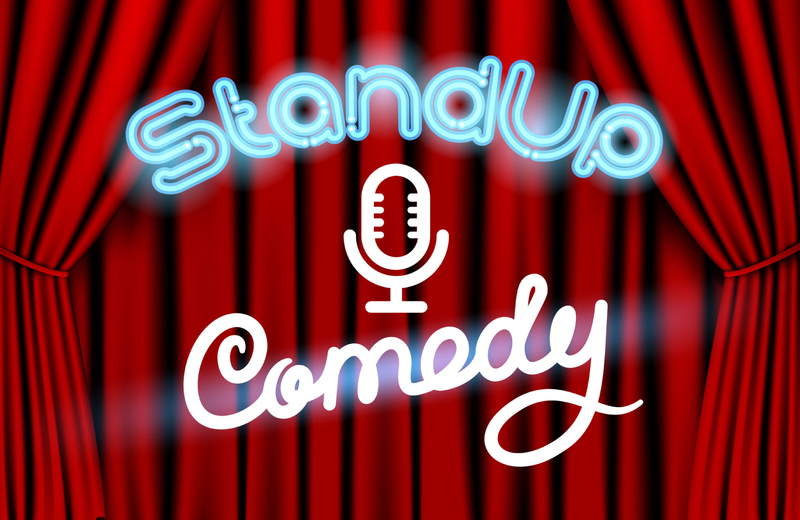 Whether you live in ritzy Eighth & Grand luxury apartments or in the barrio, you can enjoy a wonderful standup comedy show just as much as the next person. As we head into 2018, it’s time to take a closer look at up-and-coming comedians in LA. We all need to take time to get out of the house and have fun every once in a while. It doesn’t matter if you have kids, you’re single, or if you have virtually more roommates than you can count. You need some time to relax, unwind, and have a few laughs as you take advantage of the awesome opportunity to have a pleasurable night out on the town in LA. As you can imagine, some comedians are going to resonate more with you than others. Plus, there are many great up-and-coming comedians that you may not have even heard of at this point. So if you’re looking for a new comedy act that might really make you laugh and think, we highly recommend checking out the talented individuals we are going to tell you about below. Clark is a hot new comic just really beginning to break out on the LA comedy scene. She has an unassuming style and a strong presence while on stage, and you’ll have a tough time rattling her if you are one of those jerks that likes to try and heckle comedians while in the audience. The best thing about Kimberly Clark’s comedy is that she does not seem desperate for attention. She doesn’t seem like she’s so hungry to make it in the comic world. She’s there to do her own thing and make people laugh all at the same time. This is definitely a good thing when you’re looking to listen to poignant, funny talk. As a fair warning though, she has very strong and thoughtful opinions. This is not necessarily a bad thing, because she’s a smart and talented woman and you may just want to adopt her opinions as well. As another comedian making his name on the LA scene, you’ll really enjoy the act that this funny comic puts on for his audience. In fact, if you happen to be a big fan of deadpan humor, then James Austin Johnson is certainly going to be the comedian to check out the next time you’re heading to comedy clubs in your area. Getting into his act a little bit, he actually does an impression of Bob Dylan’s cell phone. It’s totally outrageous and so memorable that you’ll have a hard time forgetting about it for many weeks after you’ve seen his standup performance. He also has a very interesting perspective and he goes deep into the topic that he discusses. Plus, James has lived a very unique life and has been up to all sorts of devious hijinks throughout the years, so it’s really interesting to get a few laughs while learning about this ingenious man’s perspectives. Currently, James Austin Johnson is being billed as a Christian comedian from the south. But you don’t have to be Christian or from the south to appreciate this man’s intense humor and incredible deadpan delivery. If you’re looking for a comedic treat, we highly recommend checking out James Austin Johnson the next time he’s performing in a comedy club near you. Paige is an exciting up-and-coming comedian in LA that you do not want to miss. In fact, her first recorded comedy event is in the form of a record album only released on vinyl and it’s seven minutes long. The name of the vinyl album is called Uncomfortable at Best, which you will learn is appropriately titled after you see her performance for the very first time. The great thing about Paige’s act is she’s so funny at pointing out the obvious things, but saying them in such a unique way that you can’t help but laugh because it’s so humorous. These insightful observations are the reason why she’s on her way to becoming a favorite in the standup comedy field, and she is also about to become a huge star in the movies and on TV. She will soon be seen on the upcoming reboot of the movie Heathers. So, if you ever wanted to say, “I saw Paige Weldon’s standup act before she was a huge star,” then you better make it a point to go see her act before her career blows up. We’re telling you, she is going to be a major Hollywood starlet among the likes of other powerful female comedians like Tina Fey, Amy Poehler, Kristen Wiig, Melissa McCartney, and others. Zach has been making people in LA laugh for quite a few years now, and his awesome standup routine will continue to make everyone giggle with sidesplitting laughter as they listen to this hilarious comedian give his take on certain situations and worldly events. Believe it or not, you may have seen Zach’s work already. He produced a short film called “Killer Friends.” This production won the Dances with Films overall audience award. The cool thing about Zach is that he doesn’t take himself too seriously. As a matter of fact, when you go see his act you’ll learn right away that he definitely has an ability to make fun of himself without being completely deprecating. He also enjoys telling jokes about aging gay men living in Palm Springs! Although Lizzy Cooperman is a comedian you may have never heard of, she is actually a successful joke writer for TV shows, although her standup comedy routine is considered avant garde. She has exciting characters and a strong stage presence. You’ll really roar with laughter if you go see her in LA the next time she’s performing her standup act. Clearly, LA has a wide range of diverse up-and-coming standup comedians that everyone should check out. You can’t go wrong catching the next set of any of the comedians mentioned today and we highly recommend you do so sooner rather than later.